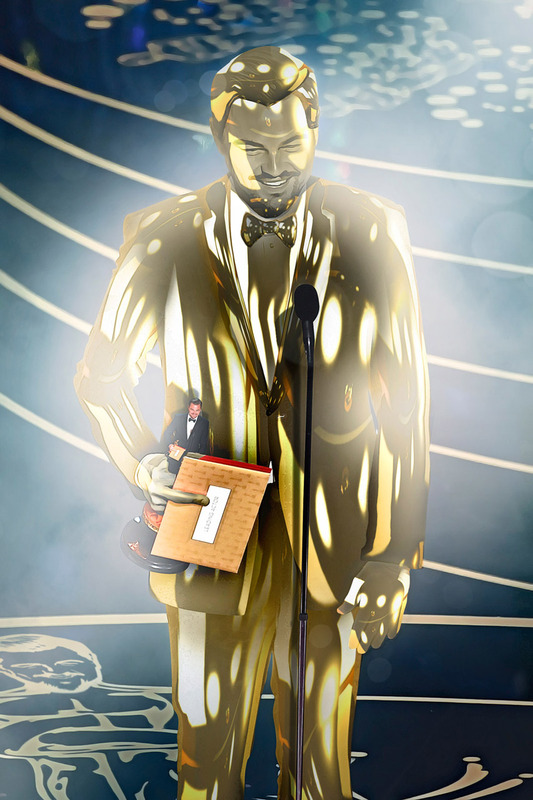 eonardo DiCaprio finally won an Oscar. Obviously, the next logical thing the internet did was to update their memes. When this image of Leo showed up on Reddit’s /r/photoshopbattles, I finally got to use a trick that I’ve been hiding up my sleeves ever since the “Sad Oscar-less Leo” meme started. This effect is much easier than it looks—assuming that you already know how to make a clean cutout with the pen tool and have a rough idea how to use the warp transform or puppet warp tool. 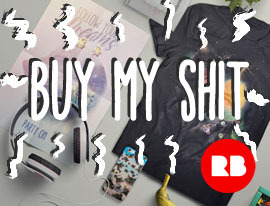 If you don’t, just search for tutorials with the italicised keywords above. With some practice, these tools will enable you to create smooth and crisp edits. 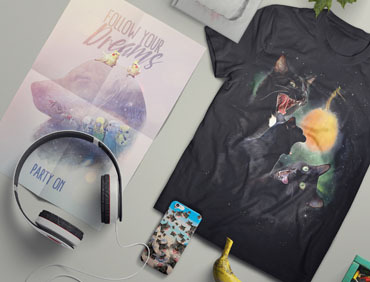 Before we start, let’s watch this creation gif to get a rough idea of how it’s made. Right click > Make selection (0px feather), and you can proceed to either save it in the alpha channel as a mask, or cut and paste Leo directly. I’ve chosen to do the latter in this screenshot because I enjoy the freedom of toggling the visibility on and off for an immediate preview (especially for online photoshop battles where time is of the essence). Now, do you see what I mean by “easier than it looks”? 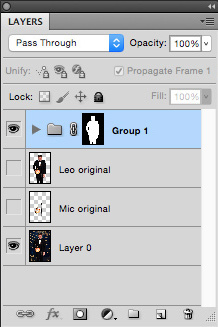 From this moment on, anything you dump into that folder will take the form of Leo’s outline. 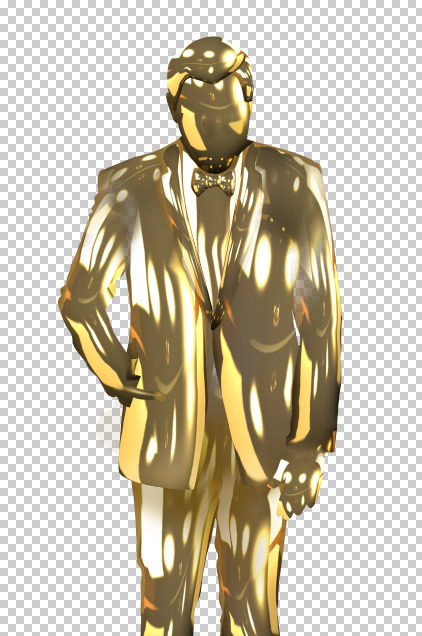 From here onwards, it’s basically a matter of getting shiny gold parts to look like a statue. Here’s where the warp tools I mentioned earlier comes in. 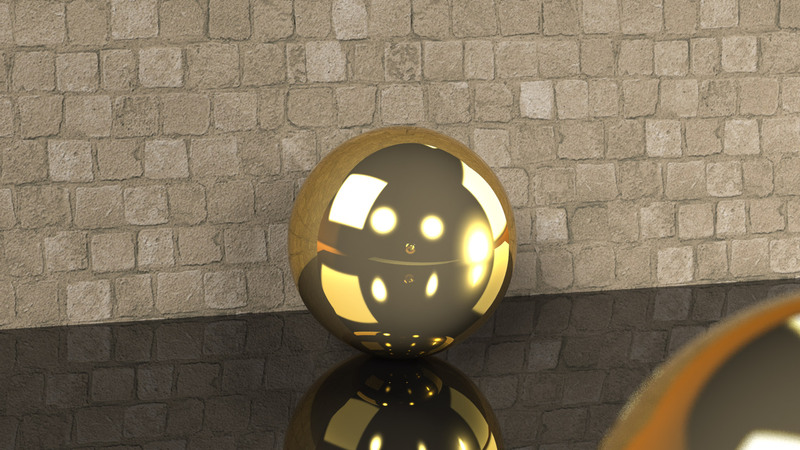 I used this image of a golden sphere on Google images to provide the smooth texture and reflections that an Oscar statue should have. Cut out the sphere, and hit Cmd+J a few times to duplicate a new sphere for each area that needs a reflective detail. Using edit > transform > warp, shape each sphere into the contours of his head and limbs (refer to the animated gif above). If you observe any shiny statues, even a single light source can be reflected dozens of times through the uneven surface. Paying attention to the light reflections in the sphere, I used layer mask to blend the limbs together. Dodge and burn various parts to match the lighting as necessary. To boost the colour of the statue, I added a top layer to paint over the joints with gold (#917f4f), and changed the blending mode to “color” at 20%. 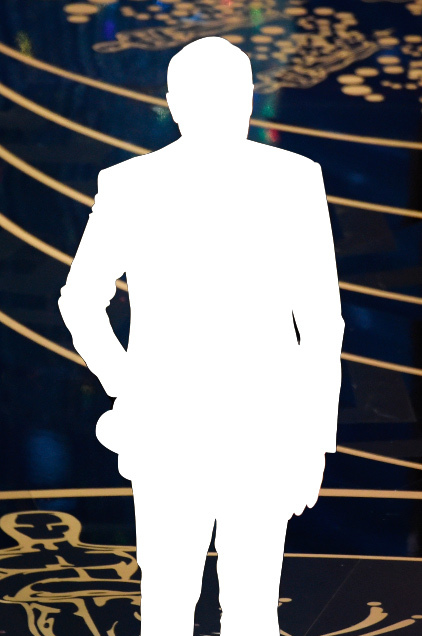 Now you’re ready to overlay Leo’s original features onto the statue. Cmd+Shift+U to desaturate Leo’s original cutout. Cmd+J to duplicate a layer (for the next step). With the current layer, bring up the contrast with a big “S” curve with curves adjustment. Apply high pass filter before changing the blending mode to “linear light”. With the layer mask, blend in the hard edges with a big soft brush, leaving most of the details focused around the face. 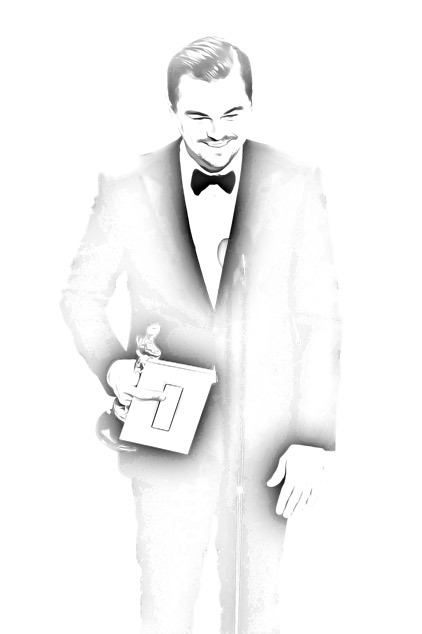 You’ll find a stark contrast in the edges where the black jacket meets Leo’s hand and shirt. This next step should fix that. With the duplicate layer from the previous step, click Cmd+I to invert the colours. Apply the gaussian blur with a radius of 5-10px then change the blending mode to overlay. 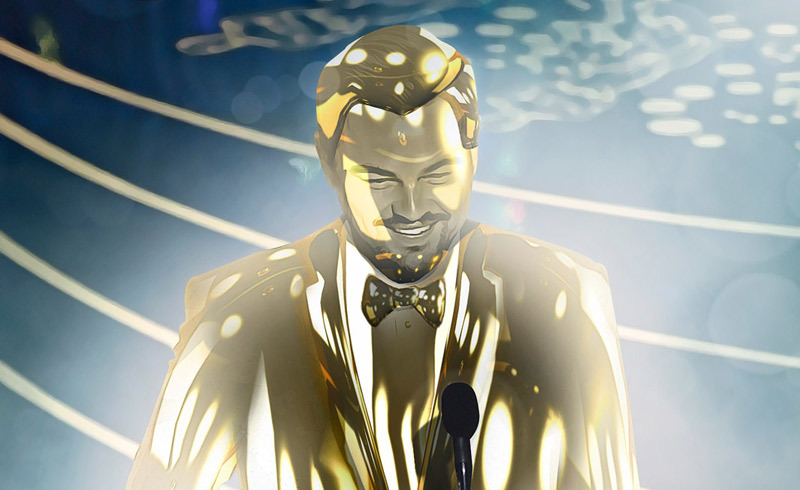 The image should look more like a statue, and less like Leo with gold body paint now. You should be done with the statue now, but why stop there? This is a photoshop battle on the internet—weird and ridiculous is the order of the day. 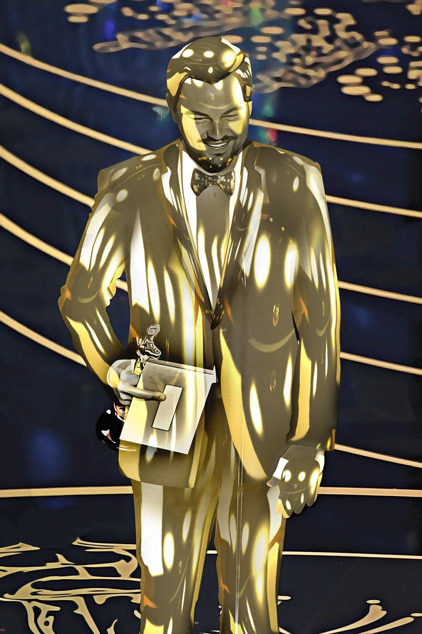 With just a few final steps, you will complete the illusion of Leo taking the form of the Oscar statue, both big and small (some eagle-eyed redditors caught my easter egg of Leo on the carpet too, but I’ll save that tutorial for another day). 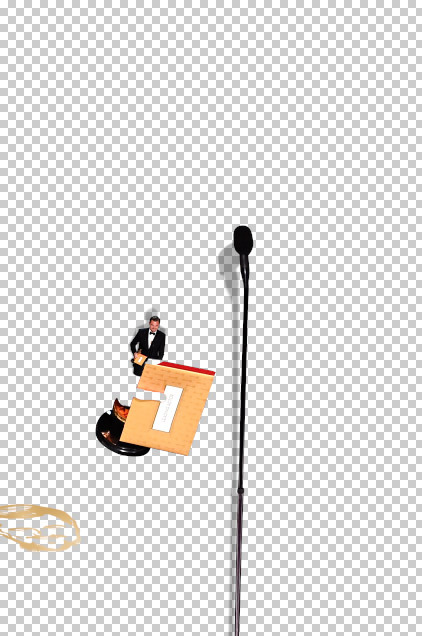 With the pen tool, cutout the microphone stand and scale down normal Leo into a statue-appropriate size. Cmd+click on the icon for the layer to make a selection of the items and using the paint bucket, fill a new layer with black. 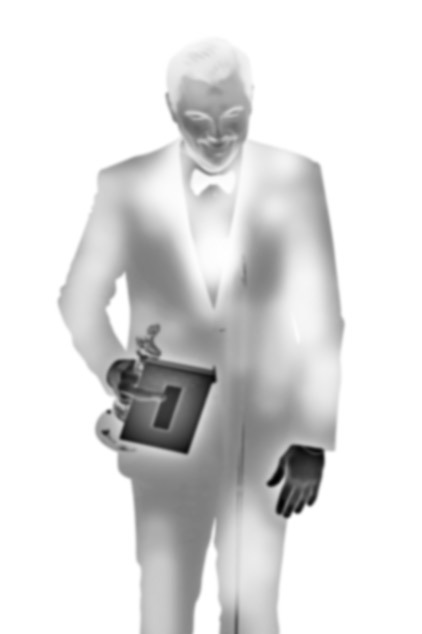 Put this layer below the items, then use transform > distort to recreate the position of a natural-looking shadow. Apply the gaussian blur filter with a radius of just 2-5px (real shadows are much sharper than most people realise), then use a big soft brush on the layer mask to slightly fase the shadow. Finally, for the dramatic lighting, I adjusted the overall curves and brightness with layer mask of artificial light source. I then added a couple of subtle smoke layers and bokeh with various blending modes to create depth. I used a custom boken brush made by kuschelirmel-stock, available for free here. For some context behind why I am so excited by this relatively simple technique, most of what I know about photoshop was learnt during the pre-CC and pre-CS era. I haven’t had the chance to use so many of the new features and improvements since then. Learning that you can create a layer mask on a folder was a game-changing moment, and it opened up so many creative doors for me. View my original photoshop entry and discussion thread on Reddit.